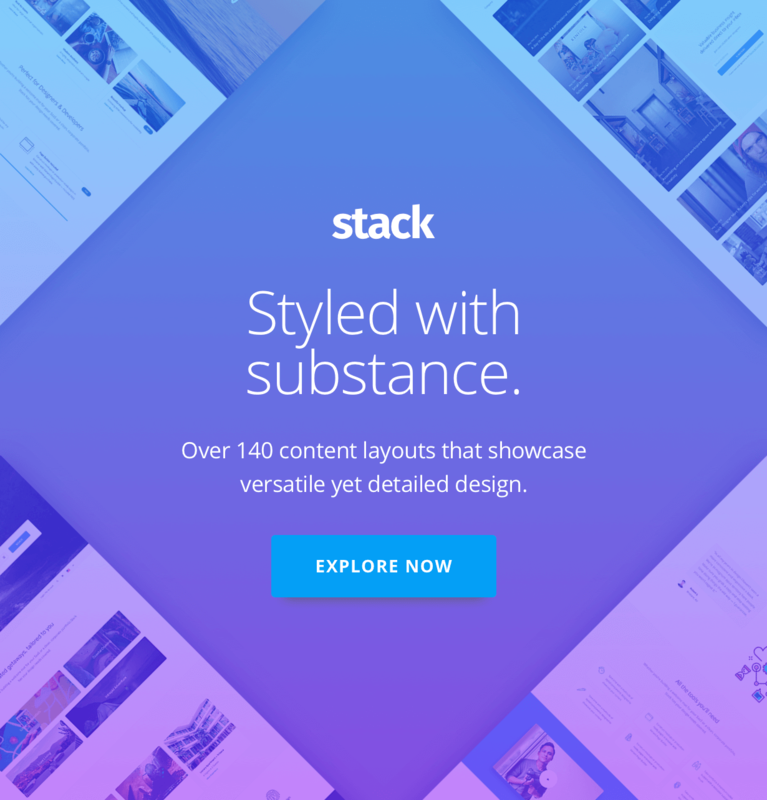 Stack puts reusable HTML and modular CSS first, blending contemporary styling with beautiful markup throughout each HTML template in the pack. Variant takes the pain out of building a website. 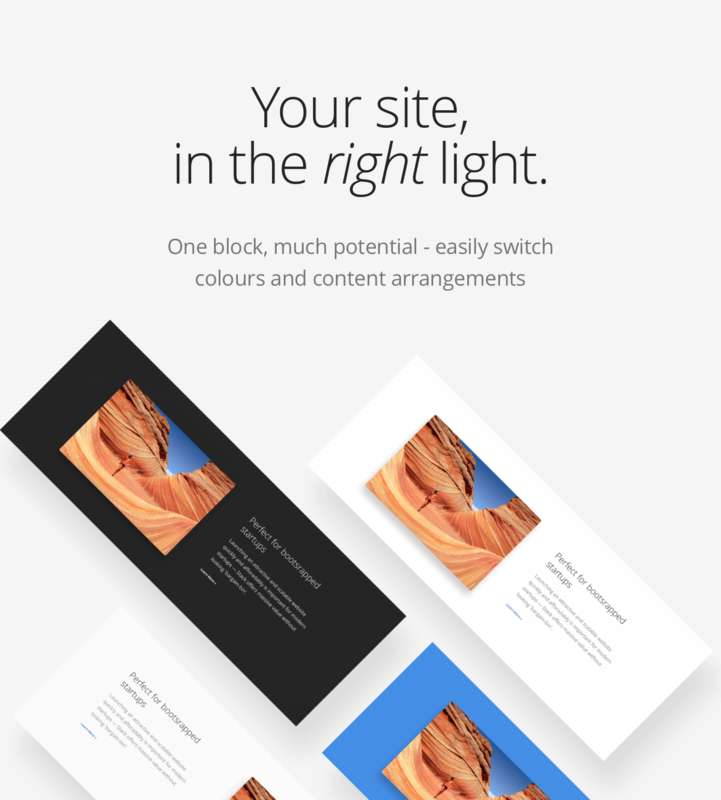 Use our exclusive page builder to save time. Stack forms the ideal starting point to static or CMS website projects of any kind. 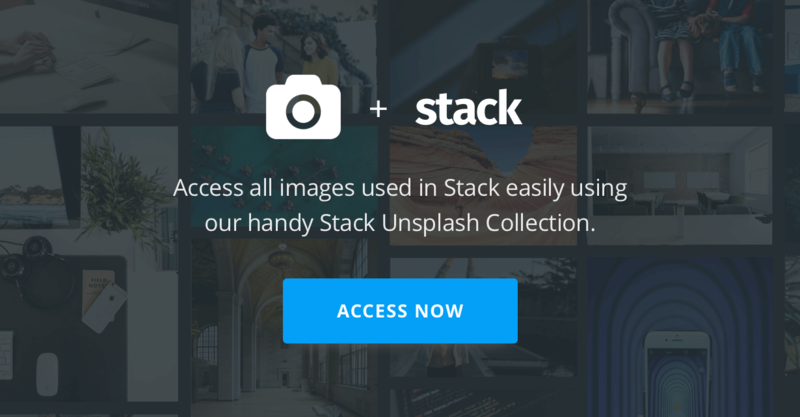 Stack has everything you need, boasting over 140 demo pages, 270 customizable interface blocks and a plethora of carefully crafted base elements. Each of Stack’s 240+ interface blocks are powered by the vast collection of customisable elements. This modular system empowers developers to create their own blocks quickly and easily leaving more time for layout and interface experimentation. Our dedication to high performance means that Stack never uses inline styles, junk classes or layout-specific stylesheets. Instead, you’ll find a modular collection of LESS components to include (or exclude) based on the individual needs of your project — no one file size fits all solutions here. 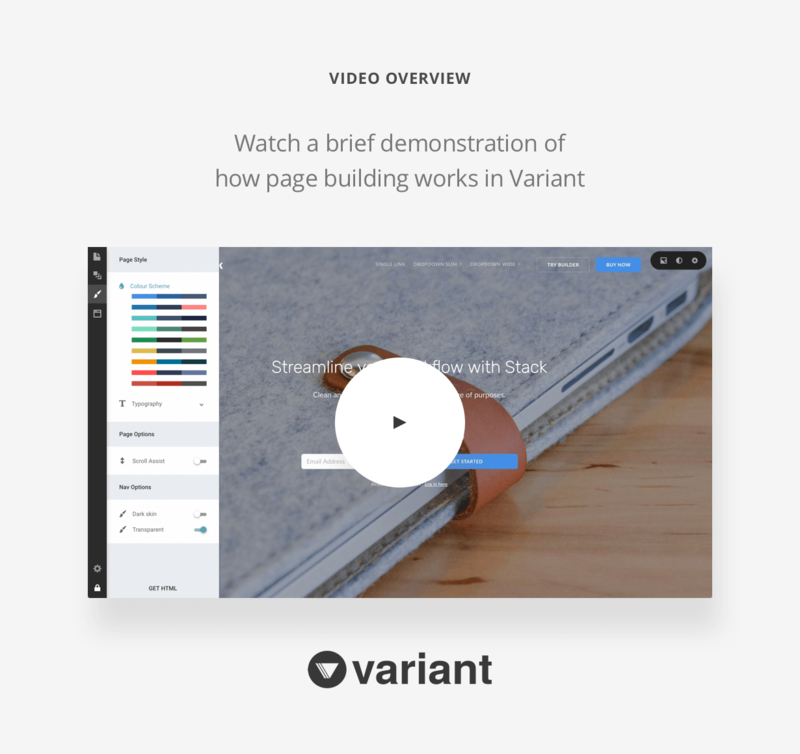 The optional Variant Page Builder lets you select from over 240 interface blocks: customise colours, content arrangements, add image backgrounds, switch out icons all at the click of a button — the layouting potential is near limitless. Assembling mockups is no longer a tedious task, get working prototypes to your clients lightning fast and deliver production-ready pages easier than any traditional HTML template. Try it now. Medium Rare templates are renowned for being beginner-friendly and Stack represents an even deeper commitment to accessibility. Whether you’re just starting out with HTML or come to website creation as a hobbyist, you’ll find a suitable entry-point. 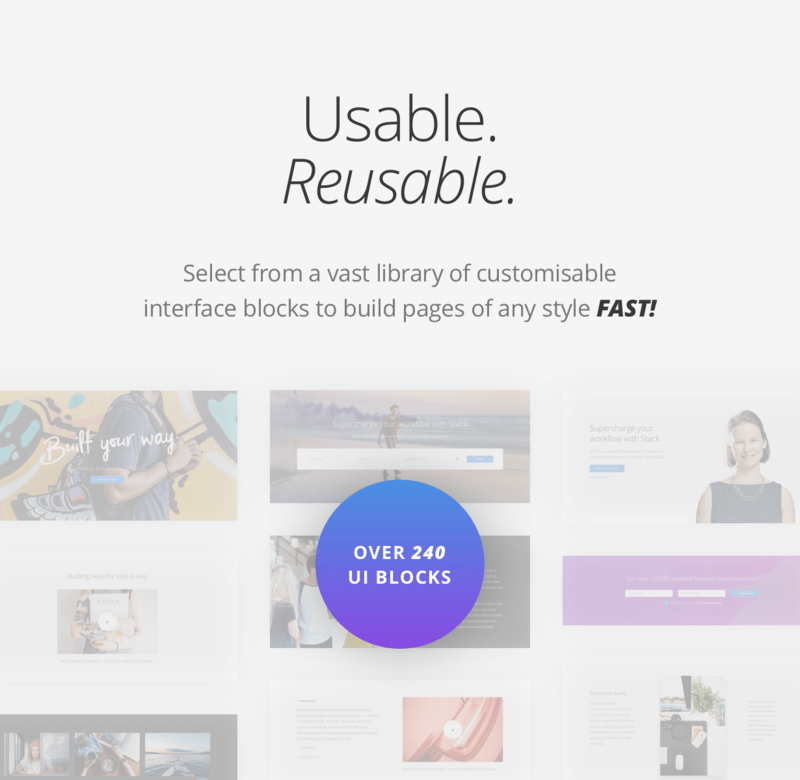 Variant Page Builder helps you to build fully working pages by selecting from over 240 premade interface blocks. Easily adjust the look and feel of your design using the smart controls on each block, change text content simply by typing over existing text, add your own images with the image selector and more — once done your page is exported as pure HTML, ready for deeper customisation. Stack features thorough and well-written documentation to help guide you in customising pages to fit your needs, and if you get stuck – we’re always close at hand via our dedicated support forum mediumrare.ticksy.com. 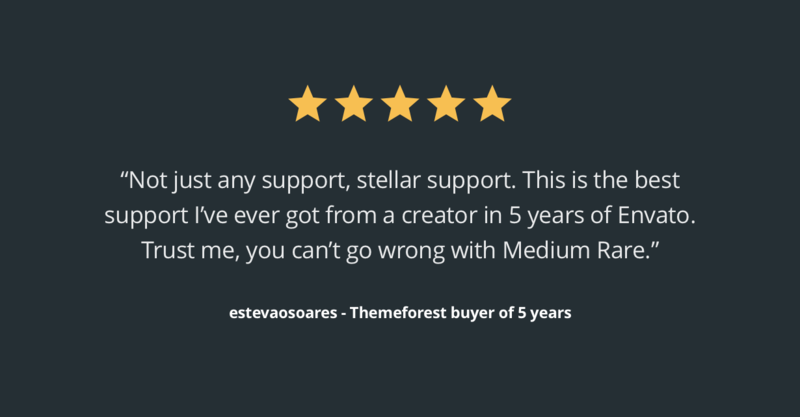 Each license purchase gives you 6 months of prompt and professional support! 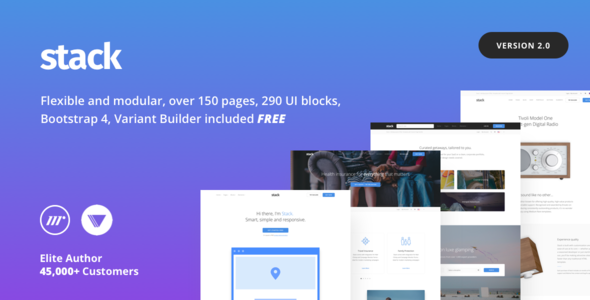 Variant Page Builder is Themeforest’s most popular HTML page building tool, exclusive to Medium Rare templates. 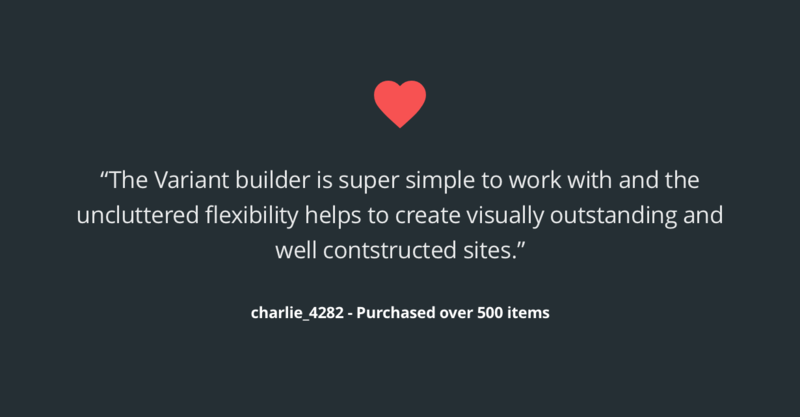 Over 35,000 customers love the ease and flexibility that comes with building pages in-browser. No installs, no long load times, no server setup. Variant delivers pure HTML pages reflecting exactly what you see in browser, no nasty inline styles or junk classes. Each purchase of a Stack licence comes with 6 months of our much-celebrated customer support. We proudly back our products via a dedicated support forum (http://mediumrare.ticksy.com) where each day we help customers navigate the features of our templates and troubleshoot issues they may encounter. As an Elite Author, we’ve built a reputation on timely and personable support that keeps customers coming back — with Medium Rare, you know you’re in the hands of professionals.